Bake fragrant Gingerbread with cinnamon, ginger and cloves! 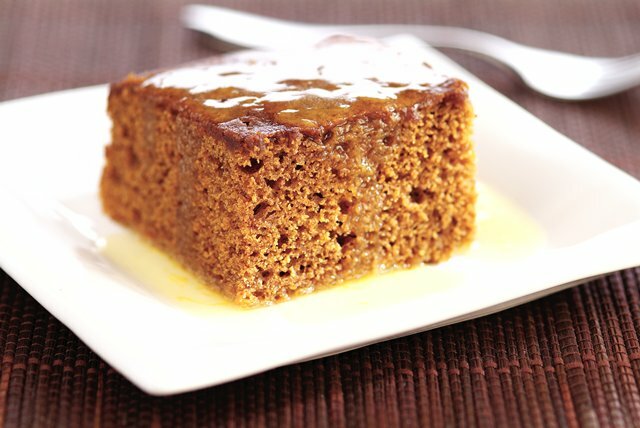 Flavored with molasses, this Gingerbread spice cake is best served with a tangy lemon sauce. Combine flour, baking powder, salt, baking soda and spices. Mix molasses and water until blended. Beat shortening in large bowl with mixer until creamy. Gradually add sugar, beating until light and fluffy. Blend in egg. Add flour mixture alternately with molasses mixture, beating well after each addition. Bake 35 min. or until toothpick inserted in center comes out clean. Cool slightly. Serve topped with the Lemon Sauce. Lightly coat measuring cup with cooking spray before adding the molasses. The molasses will slide right out instead of clinging to the cup.